Every car has its own manufacturer recommended oil change interval. Most of the conventional engine oil are recommended to be changed every 3,000 miles or every three months. There is also the synthetic engine oil that can be used for longer oil change intervals of 5,000 to 15,000 miles. What is going to happen if you do not follow the recommended oil change interval? The results can be worse than what you expect it to be. 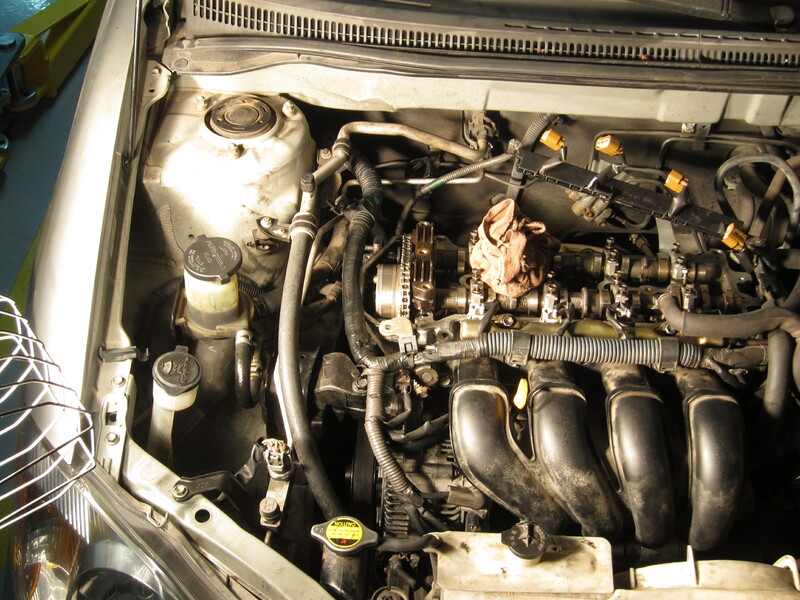 Our client’s 2003 Toyota Corolla will be a good example at “Your Dream Garage Do It Yourself Garage”. The engine oil in the vehicle has not been changed for a long period of time. One day,the engine just gave up. When you open the head cover, you can see sludge everywhere from the inside of the engine. This means that the engine needs to be cleaned inside out in order to be back to normal running condition. 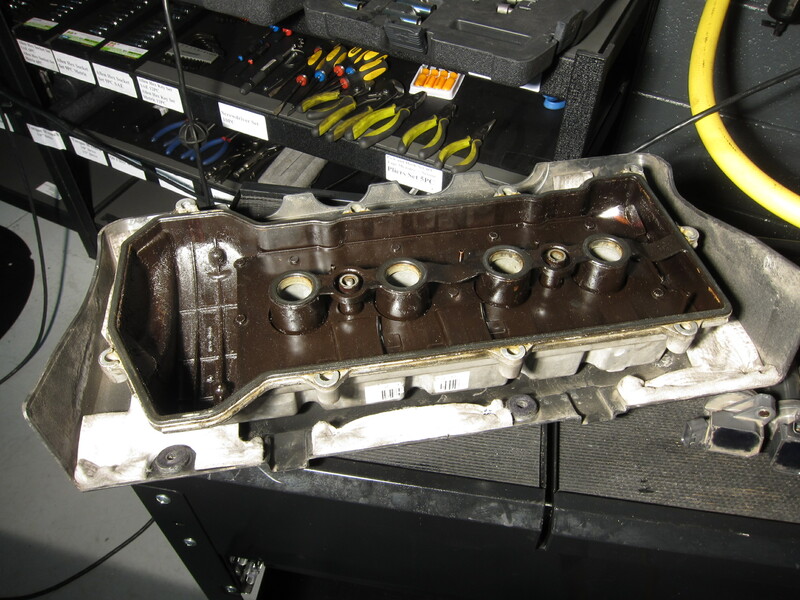 However, it will take a lot of work to open every little part of the engine and clean it thoroughly. Therefore, in this case the engine is almost worthless, because the time it would take to rebuild and clean the whole engine would cost way more than just swapping another engine for the car. The only part may be usable is the head if it is tested to be in good working condition.This is what happened to the engine, the oil became so old that it could not protect the engine any more. Engine oil does many things to protect the engine, including lubricating, cooling and cleaning but once the additive within the engine oil is gone, the engine will not likely last any longer. Oil changing is inexpensive but an engine would cost hundred times more. Therefore, you should always change your engine oil according to the manufacturer recommendation to help you save yourself from trouble. At “Your Dream Garage Do It Yourself Garage”, the No.1 DIY Garage in Los Angeles, you can learn almost anything about a car by doing it yourself and solve your own problems which you are not likely to learn from school. We would also like to provide our customers with the best service so we try to learn and improve ourselves everyday.